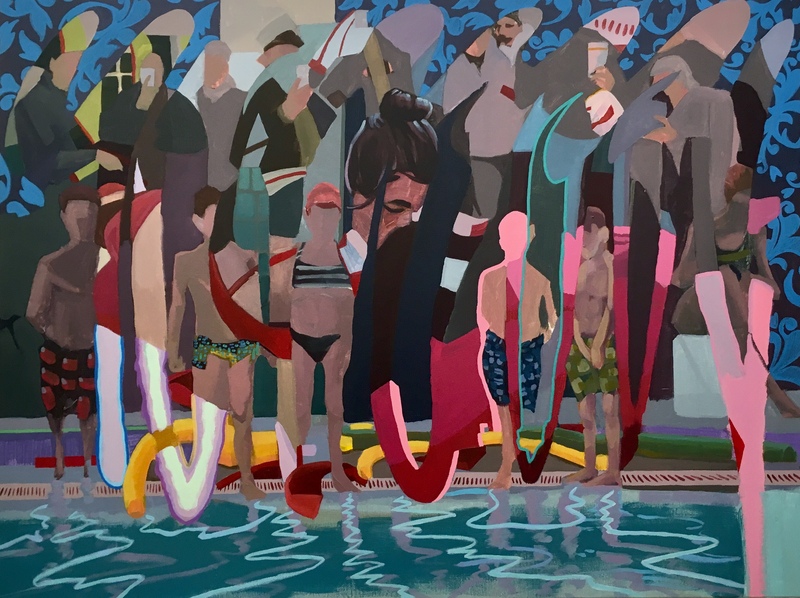 Born in 1976 in Fayetteville, North Carolina Dustin Massey is a contemporary painter living in Greenville, South Carolina whose work focuses on rapidly advancing technology and it’s impact on our social and cultural relationships. Dustin comes from a long line of artists and architects. His family has painters dating all the way back to the 14th century. He picked up his love of art at a young age from his mother, who was also a painter. His BFA was received from East Carolina University in 1999 in painting and drawing. He recently received his MFA in visual arts from Clesmon University.